Seminary is a great time to cultivate friendships. You are around many like-minded people of your own age, and many of you are going into trenches together very soon. In my experience, its easy to get lots of acquaintances in seminary, but friendships take more effort, because everyone is so busy. I would encourage seminarians to get a group of 4 or 5 or 6 others, and really go deep. Meet regularly. Share. Pray. Confess. Become a “band of brothers.” And then commit to pray for each other and stay in touch once you all graduate and go off. It is really valuable once you are in ministry to have those kinds of friendships with others also in ministry (but not your ministry), and you may not have time to cultivate them once you are already started. I can think of few betters ways to spend your Sunday evenings or Tuesday mornings or whatever during seminary. I had friends like this in seminary and I’m so thankful. It is easy for the life of a minister to become dominated by ministry so that everything in his life revolves around it. I think one excellent strategy for ministry longevity is cultivating hobbies and really investing in them over the years. Something that is fun, refreshing, and gets your mind off ministry. Speaking from my own experience, I find that being a couch potato on my day off is the worst way to get recharged to go back to work. Paradoxically, I need to work hard on my day off – at something fun. For me, its study, and specifically my PhD. I find it extremely refreshing to be immersed in a different community, playing a different role (from “pastor” to “student”), meeting different people, engaging different skill sets, growing in different areas, etc. It swings me back to normality for a time, and reminds me how much to life there is other than ministry. It means I have long-term goals, priorities, dreams, ambitions that have nothing (or little) to do with ministry. For some reason, that helps me be better in ministry. I’m grateful God has opened this door in my life. A hobby could be anything. A sport, an outdoor activity like camping, drawing, collecting baseball cards, doing puzzles, whatever. But having something important and fun that you can work hard at other than ministry is, I think, healthy and stabilizing. Its like Winston Churchill who painted voraciously, even while Prime Minister. It takes your mind off things. I would encourage seminarians to start cultivating hobbies now, and prioritize them and create space for them in your schedule. Don’t force it, or else it becomes simply one more thing on your to do list. What do you already enjoy? What is refreshing? Relational intelligence is so different from intelligence per se that its easy to cultivate one without gaining at all in the other. Intelligence is a great gift; but nobody makes it in ministry by sheer intelligence. You have to be good with people. I would encourage seminarians to eagerly pursue being a part of a small group, developing listening skills, spending time with people totally unlike them, stretching out of their natural personality limitations, embracing whatever situations of life make you feel uncomfortable and vulnerable. Are you introverted? Go to parties and stay 30 minutes longer than you want to. Are you structured? Spend time with spontaneous people. Can you be a bit aloof? Work hard every day at deliberately noticing people around you. Can you be a bit insensitive? Work on developing empathy and compassion. Stretch yourself now, cultivate relational intelligence now. If you are already doing these things voluntarily, its less bracing when you transition into ministry and necessity compels you. And don’t feel condemned or ashamed for where you are weak; God (and generally people, I have found) are very forgiving as long as we are trying our best. 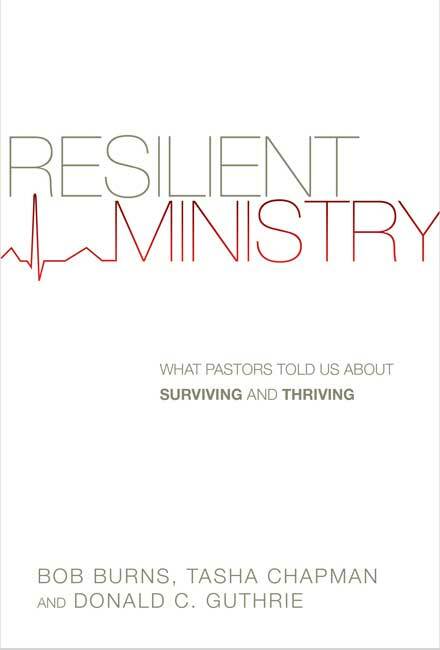 People are constantly talking these days about how culture is shifting towards a post-Christian era, and that this has profound implications for ministry. Yet many people seem to unconsciously assume that the way to do ministry will be the same, regardless of cultural shifts around us. Most seminarians feel too busy to cultivate friendships with those outside of the church, and I can certainly understand that. I was too busy to make any substantive non-Christian friendships in seminary. I regret that. The best strategy for getting to know our culture is simply to cultivate friendships with young, post-modern people, and genuinely get to know them and how they think and view the world. If nothing else, at least read and listen to secular voices, and learn from churches that are reaching the rising post-modern generation. Where your conscience allows, watch people like David Letterman and Bill Maher. Learn how they think. Understand, as sympathetically as you can, how they view life, what they see as the problems of the world, and how their solutions make sense to them. Then do the hard work of contextualization. Think through rigorously how the gospel applies to that worldview, how Jesus is a better Savior than the idols of our age. Then preach every Sunday as if those people are there. Eventually I bet they will be. This is probably the biggest one. There is so much I do on a weekly basis that is outside of both my gifting and training, and yet can make or break my ministry. I referring to that realm of administrative/leadership/management stuff that on any given day may comprise up to 95% of my work time, and on any given week is rarely less than 40%. You can get an A+ in every seminary class you take without cultivating any leadership skills. Yet leadership skills can make or break your entire ministry. And its so hard! There is nothing like leadership. Nothing so sanctifying, so painful at times, so requiring of courage and restraint and wisdom and hard work. I don’t think there are any shortcuts to leadership skills, but my best counsel is, become active at a local church, and seek out some kind of role that requires you to lead people. Perhaps it could be leading a small group or teaching a Sunday school class or starting up a new ministry or organizing a summer missions trip. If there is nothing there available seek out something outside of your local church. We all learn from our mistakes, if you’ve sought out a leadership role prior to taking on a full-time position, hopefully you will have gotten some or your nastiest falls out of the way before you get started!